The J&J Transport yard in Beira is strategically situated on the main road exiting Beira to the hinterland. J&J Beira opens its doors in 2001 and our offices serve as headquarters for our Group. Our strategic location, state of the art onsite workshop, yard, large diesel storage tanks, together with our full complement of employees allows for us to ensure that our customers needs are met. Our proximity to clearing agents and customers' offices allows us to react to bookings and requests fast and efficiently. Our dedicated staff have several years' experience in their respective fields, ensuring that we always deliver the service now synonymous with the J&J name. JJ Transportes Lda is responsible for the below routes. This includes quotations and tender participation. Desi has a BA (LLB) degree and is an admitted attorney of North Gauteng High Court in South Africa. Desi has 6 years of experience with J&J in transport and logistics across Malawi, Mozambique, Zimbabwe and Zambia. She is detailed in her approach and using her legal background she works towards ensuring J&J continues to be a leader in all aspects combining operational productivity and compliance. She oversees the J&J Beira branch, Group Health, Safety, Environment and Security and the Group Legal Department. Chris joins J&J with a Diploma in Logistics Management and 8 years of experience in cross border transport and logistics across Africa. He has extensive expertise in directing operations for high capacity companies. His dynamic approach with background in logistics, HSEQ and client management allows for him to lead the J&J Beira operations team. He is our General Operations Manager and heads operational control for all truck movements ex Mozambique and liaison at the J&J Beira branch and Port office. 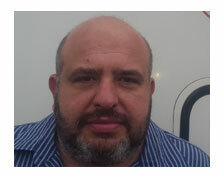 Warren has 15 years experience working across Africa, mainly in Transport, Sales and Marketing. His highly analytical approach and systems skills combined with his communication skills and a hands on approach, brings an important added value to J&J. He has been at J&J for 4 years and is our Deputy General Operations Manager and jointly heads operational control for all truck movements ex Mozambique to Malawi, Zimbabwe, Zambia or Eastern DRC. Anani joined J&J Transport with 15 years experience in Logistics. He has worked in logistics in crisis areas around the world and besides his 15 years experience in the Air Force he has a Masters Degree in Engineering. Anani has been with J&J for 3 years and brings to J&J military precision with execution of operational requirements. Robeck joined J&J with 13 years experience in transport and logistics. He has worked in Zimbabwe, Malawi and Mozambique. Robeck has been heading up SSB for 4 years and brings to SSB his expertise in communication and logistics to ensure SSB is a leading cross haulage division in and around Beira.